For the past 25 years, men whose sperm can’t manage the arduous swim across a Petri dish have had the option of injecting a single sperm cell directly into an egg. But that method still left some sterile men out in the cold. These are the men whose sperm never start the process of growing tails. 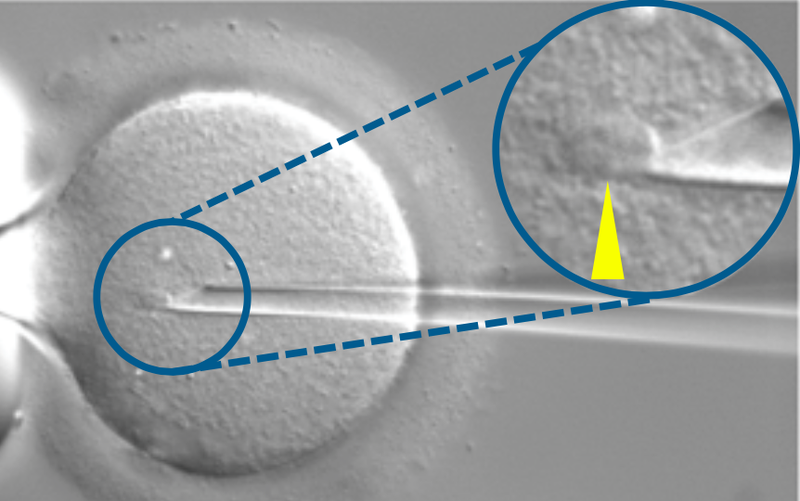 Harvesting immature sperm for the injection process was always an option, but the technique produced too few fertilized eggs to be of any real clinical value. A team led by University of Hawaii Medical School reproductive biologist Ryuzo Yanagimachi may have changed that. Their improvements have made the version of the technique that uses immature spermatids–the pre-tail precursors of mature sperm–just as successful at producing viable embryos as the version using full-fledged spermatozoa. The paper describing their results appears in PNAS this week. Yanagimachi’s team figured out how to reliably identify which of the subtly different cells inside the testes were the spermatids (compared to the other cells, they’re slightly smaller and have a thin ring of cytoplasm around their nuclei). Accurate identification let them isolate cells that could fertilize eggs, as opposed to the all the other cells in the testes that can’t do the job. Electrically stimulating the eggs before injection also improved fertilization rates. The team reports that since 2011, 14 children have been conceived using the technique. They had to treat 734 oocytes to get there, so no one is likely to try it as anything but a last resort. But it could help some guys who are otherwise shooting blanks get on the road to fatherhood.